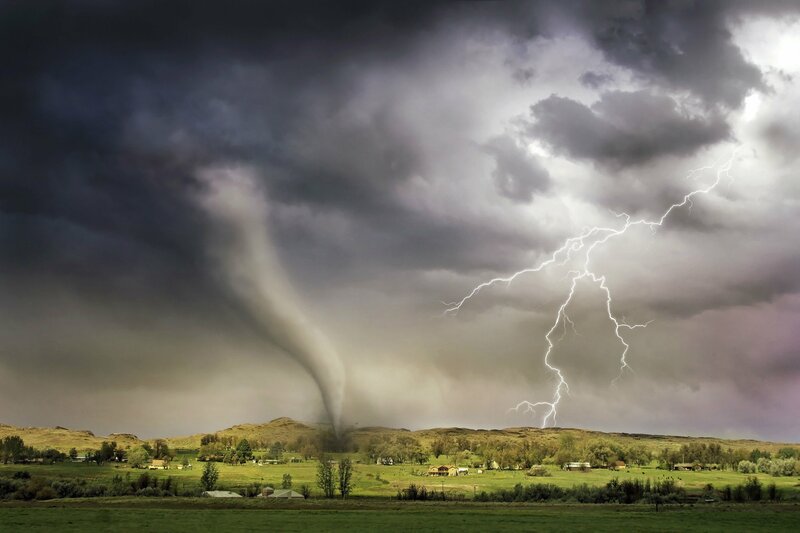 Did you know that the U.S. has more recorded tornadoes than any other country in the world? This is according to a report by Lloyd’s of London in 2013 that can be found here. There are areas of the U.S. that experience more tornadoes than any other areas and we call it “Tornado Alley.” How do you prep for a tornado? You definitely start before you hear one. Prepping for a tornado is done in 3 steps: Planning for a Tornado, Action for Tornado Watches and Action for Tornado Warnings. A tornado is an extremely destructive force of nature. The first thing you need to do is develop an action plan for your family. There is a downloadable PDF at the bottom of this post for an overview to cover with your loved ones so everyone can be on the same page. Find the Best Place for Shelter: Start with your home. Where can you go in your home that is protected from the windows. Broken glass and other debris will be a part of the high winds. Find a place in your home where it offers the most protection from flying debris. Interior rooms are great and so are the spaces under stairs if you have them. If you live in a mobile home, you will need to find secured shelter, even if it is tied down. Practice: Practice, practice and practice every few months to make sure that everyone is on the same page on what to do. Include your pets as well and hope that they will know what to do as well. Take Inventory: Take pictures and videos of your belongings and rooms in your home for insurance purposes on a regular basis. I do it yearly. There are cloud services like Google Photos that give you unlimited storage for your pictures and videos for free so you can access them later. Some people will take pictures and videos and either store them in a sae location, or a bank deposit box. Build an Emergency Weather Kit: This kit should have some clean water and a way to filter water to make it drinkable. In a weather emergency, power may be out for days and clean water may not be available. Add some food with a long shelf life like tuna fish, survival bars and MRE’s. Some crank based flashlights and power sources to charge your devices will also be helpful. If you have children, make sure you have some way to keep them entertained. Grab some games, coloring books and crayons to last for a few days. Know How to Cut off Utilities: Find the water valve coming into your house, the gas valve and electrical switches to be able to cut these off. If something were to happen, you will want to cut these immediately to prevent further damage to yourself, or home. Find Your Local Shelters: Know where to go in the aftermath of not just a tornado, but any event that will dramatically change your quality of life. Some local churches and government buildings will host people with nowhere to go. Know Your Enemy: Understand the difference between a tornado warning and a tornado watch. 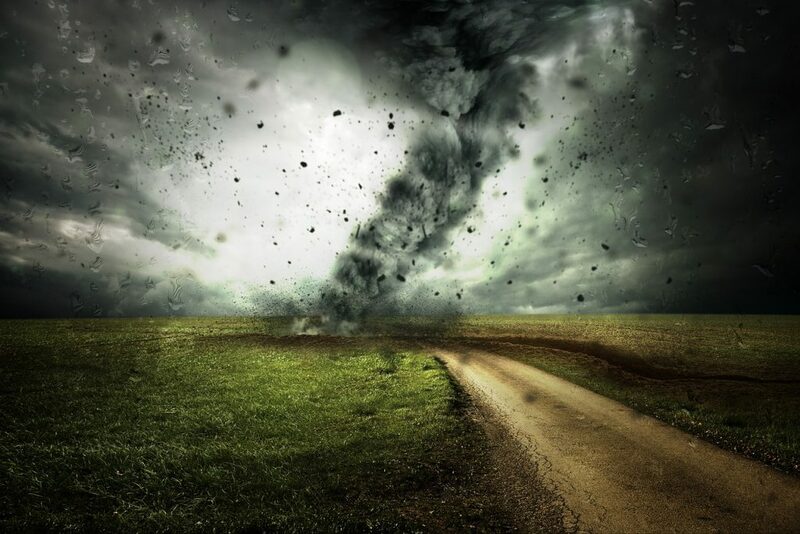 A tornado watch is when the conditions are right for a tornado to form and a tornado warning means that a tornado has been spotted, either forming or on the ground, and you need to take shelter and implement the preparation plan NOW. Planning for a tornado, or other weather event, should be a part of your families plan on how to survive what you cannot see coming. The schools usually implement this type of plan with your kids every few months and most workplaces now go through this with employees to be prepared. Doing this at home is no different. As preppers, survivalists or just avid outdoor enthusiasts, being prepared for survival situations is the difference between life and death. With long-term camping or hiking trips, we get to plan ahead for the trip. Natural weather events do not give us the opportunity to get what we need and even Amazon cannot ship you what you need fast enough when a tornado warning is announced. Being prepared is essential. In the event of a tornado watch, this means that the conditions are right for a tornado to form, but has not formed, it is time to put your plan in action. Gather Your Family: It is time to calmly come together and understand that you all need to be prepared for the possibility of taking action against a potential tornado. While a tornado forming is a possibility, it is also possible that if it does form, you are not in the path of it. There is also a chance that you will be and you will need to be prepared. Protect Your Outside Belongings: If you have a garage, go ahead and pull your cars in and if you have outdoor furniture, either secure it or move it inside. Understand that anything light and not secured can become debris. Turn on the News: If you have a weather radio, go ahead and turn it on. Some areas will broadcast the news on the TV or over the internet. It is time to tune in. Be sure it is not so loud that you will not hear the local sirens that will blare loudly when danger arises. For most communities, there is an emergency siren that is activated during these events to warn the public that are not paying attention to the news. They test these sirens on a regular basis every three to six months and you have probably heard it before. If you are new to the area, then part of your prep plan should speak to a local police officer, or firefighter, about the location of this siren and if you can hear it where you are. During a tornado warning, a funnel cloud or a full tornado has formed. This means that there is a tornado forming and will potentially touch down in your area. It is time to take cover. Stay Calm: Get your family and pets together into the per-designated area you planned for that will protect your family from debris. Basements and cellars are ideal, but not available everywhere. Keep the News On: If you have access to the news, keep it on and at a level where you can hear it. A NOAA Weather Alert Radio is ideal for this. Hopefully, if a tornado touched down, you are left alone and can return to your normal life unscathed. If you were unlucky, hopefully all of you survived. Check Your Surroundings: Downed power lines, weakend and falling trees and limbs are still a threat in a post tornado situation. Watch where you step and watch where you touch. Grab Your Emergency Kit: Take count of how much water and food you have. Grab what you can carry and make your way to a local shelter. Emergency services will be making rounds to find survivors and offer help and support. Contact Your Insurance Company: Reach out to your insurance company and let them know what happened. It’s time to rebuild your life. Stay safe before, during and after a natural emergency, like a tornado.